The only part about backpacking that I never really cared much for was camping. I hated stopping. I wanted miles. Camping kept me from getting miles. Camping would become a necessary evil for me. It was something that I was required to insert between my days on the trail. I’m not exactly sure why I didn’t care much for it. I guess I just never slept too well on hard shelter floors or in shared tents that became too stuffy overnight. Some shelters were mice-infested, which made me jittery all night. Or, they were crowded with guys who snored loudly. In any event, I generally didn’t wake up feeling energized or refreshed, which affected my time on the trail. You see, I’m not a tinkerer. I’m not one of those DIY guys. I’m good at buying stuff in the stores. I’m not good with my hands. I’m not even that good with my brain. Oh, I can figure out sentence structure and find words that go together in a way that transfers the thoughts from my head to yours. But, when it comes to solving mechanical problems, I’ve never been your go-to-guy. It spite of these misgivings, I decided to give hammocking a try. At first, I was frustrated. Setting up a hammock wasn’t like erecting a tent. It took practice and patience. Sleeping in a hammock wasn’t easy either. It required ‘tinkering,’ making adjustments, and developing an eye for angles and distances. I also had to re-approach how I was going to stay warm during the night. New equipment was needed. Eventually, I began to make some headway. 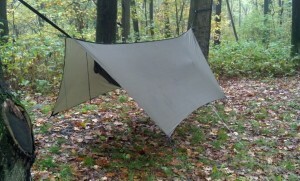 I smoothed out some of the rough edges to hammocking and began to enjoy it. After a while, I found myself looking forward to reaching camp. I wasn’t so “mile-focused.” I slept better and felt more relaxed at night. New possibilities then began opening. I no longer felt confined to the designated camping site. Spending the night in the middle of the woods became incredibly appealing. It became fun to go off the beaten path and make camp wherever I chose. I began to think more about setting up alone in the middle of the woods more than just walking alone through the woods. My backpacking world was changing. And, in the process of all of this, I discovered something else: I was beginning to think through some of my logistical problems on my own. My woodcraft skills were sharpening. I was also beginning to develop an interest in fashioning some of my own equipment. My clumsy hands were tying new knots. This was new territory for me. Completely new. Hammocking has challenged some of my comfort zones. It has changed, not only my backpacking experience, but has affected my thinking of who I am what I can do. That’s good stuff. Nice read Dane – could you elaborate on what “new equipment” you had to add to your pack list in order to make the hammock experience go well. Keeping warm during the winter season would be one concern of mine or have you found hammock hiking to be a 3 season approach? Thanks Freebird, and good questions. It is not absolutely necessary to purchase new sleep system equipment to convert to hammock camping. Many use the same sleeping bags and pads that they used in their tents or on shelter floors. However, I soon discovered that a sleeping bag was a little ‘overkill.’ It was too much material when you take into consideration that the part of the bag you are laying on has no warming value. So, the first thing I did was went with was a down-filled top quilt. It contains only the material necessary to keep you warm from above. 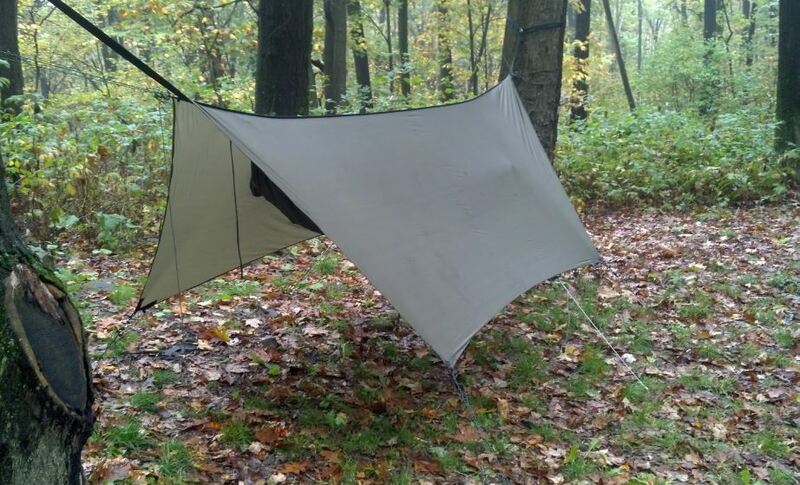 The real problem of hammock camping, however, is the heat loss from below your body. I tried various ways to keeping warm from below, but I either sacrificed comfort, or found they didn’t do the trick completely. So, the second purchase was a down-filled under quilt. It suspends beneath the hammock to provide warmth from below. I have not yet hung my hammock in the winter. I would like to give it a shot. I think I have enough equipment to get me into the 20 degree range, but probably no colder than that – and certainly not if there is a strong wind blowing. For those conditions I will have to add some additional features. But, it can be done.